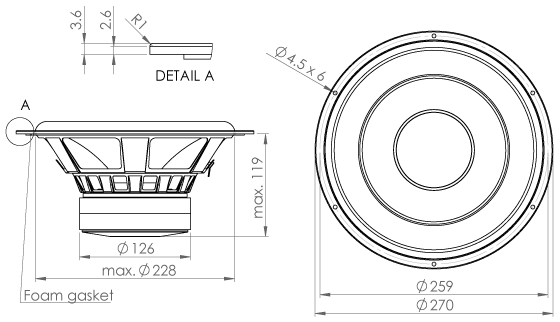 The 10�” transducer SW270WA01 was designed specifically for high performance subwoofer applications where sound quality and low distortion are the priorities. It features the Wavecor Balanced Drive motor technology. After burn-in specifications are measured 12 hours after exiting the transducer by a 20 Hz sine wave for 2 hours at level 10 VRMS. The unit is not burned in before shipping.